Many machined parts requires surface treatment. In the simplest case, the machined parts are just anti-oil rust painted. However, in many cases, machined parts require various surface treatments. The purpose is to prevent corrosion, improve the hardness of the surface and have better decoration. 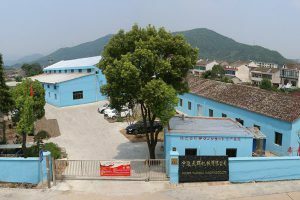 Our factory cooperates with dozens of surface treatment plants in the city. We can provide stainless steel surface treatment, aluminum surface treatment, etc. After passivation, the surface of the beer can has a beautiful white matte color. 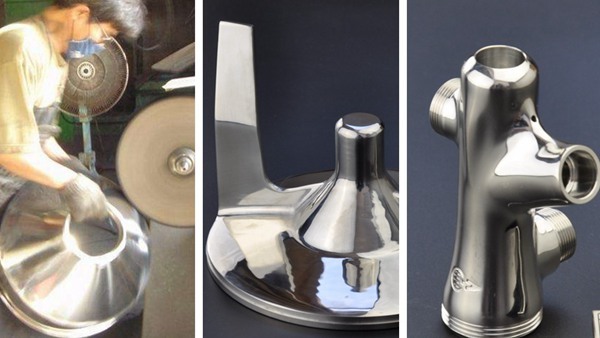 Polishing is a major stainless steel surface treatment process, We can provide mirror polishing or Satin finish. These years, We have produced a lot of stainless steel casting parts with the polishing finish, like handrail parts, food processor parts. Can polishing small or complex shape parts. High production efficiency and low cost. In order to meet customer’s requirement, Now we can do complex,multi-factory collaboration surface treatment like sandblasting and electropolishing. Sandblasting is the process of smoothing, shaping and cleaning a hard surface by forcing solid particles across that surface at high speeds. 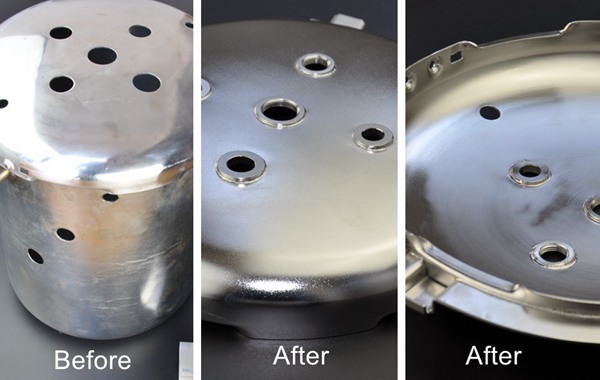 When sandblasting and electropolishing combined, We can get a better, shiny surface than pure electropolishing. Commonly used aluminum surface treatment processes are Anodizing, Powder Coating, Painting, sandblasting, Polishing. Our factory is familiar with anodizing and powder coating treatment of aluminum machined parts. Anodizing is an electrolytic passivation process used to increase the thickness of the native oxide layer on the surface of a metal part. Aluminum anodizing is very common in China, So we can provide black, natural, gold, red, … anodized. Powder coating is to spray the powder onto the surface of the workpiece by a powder spraying device, After high-temperature baking, Then the powder is dried and solidified into a film. Because aluminum alloys for die casting process are not suitable for anodizing treatment, So powder coating is widely used in aluminum die-casting products. 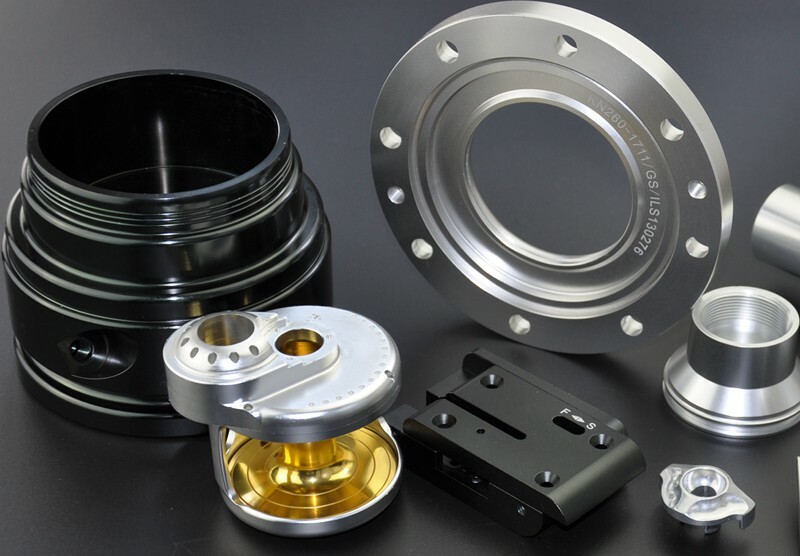 Our surface treatments enable us to provide you with high quality machined parts. We can provide surface treatments for a wide range of materials, from stainless steel surface treatment to aluminum or iron finishes. More and more customers benefit from our wide range surface treatment services. Together with our machining and heat treatment capabilities, our surface treatment capabilities make us your “one-stop” CNC machining supplier.